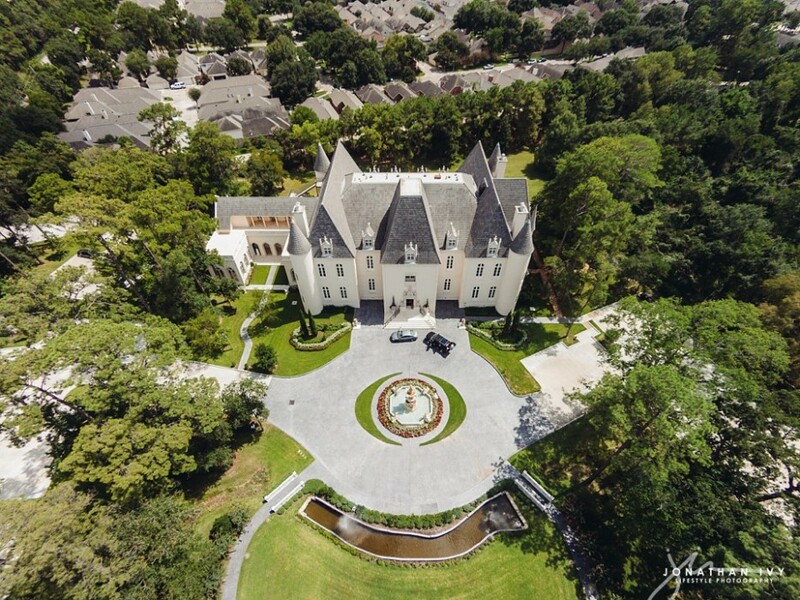 We recently captured an elegant and luxurious Chateau Cocomar Wedding in North Houston. Bride Kala and groom Lee looked stunning on their special day and we must admit that this was a lavished indoor wedding that we very much enjoyed capturing. Kala was wearing a designer wedding gown from Weddings by Debbie that made her breathtakingly gorgeous. Accompanied by her beautiful friends as her bridesmaids, they started the day relaxing and enjoying the beautiful Chateau and its amenities. The classy charm and rich architecture of Chateau Cocomar added sophistication to this beautiful wedding. The atmosphere at their wedding was sophisticated featuring amazing panoramas of extraordinary scenes of crystal chandeliers, fireplaces and beautiful European gardens. Both Kala and Lee decided for a purple wedding reception with black accents to create this sophisticated charm. The dazzling lights, purple accents and decorations that included countless flowers all around made the moment memorable for all who witnessed it. Our team also thoroughly enjoyed capturing this stunning display. We are extremely happy to be a part of this gorgeous Chateau Cocomar Wedding and wish a great life ahead for the lovely couple.